This week’s parsha introduces us to one of the most influential characters in Jewish history, Moshe Rabbeinu – Moshe our Teacher. By way of amazing providence, Moshe was brought up in the royal palace of Pharaoh, the Egyptian ruler, after he was adopted by Pharaoh’s own daughter who found him floating in a small reed-craft constructed by his mother. Abarbanel explains that Moshe’s adoption and upbringing in the royal palace was Divinely ordained in order that Moshe learn the art of leadership, so that when he later represented the Jewish nation before Pharaoh, he was able to do so with confidence and authority – as one accustomed to addressing royalty. In the palace, Moshe would also acquire the royal demeanour necessary to lead the Jewish people with the dignity befitting the leader of the nation of Hashem. The Midrash says (Shemos Rabbah 5:18) that the Jews in Egypt were in possession of certain scrolls which they would read on Shabbos would give them great pleasure – for in the scrolls were written words of encouragement and promises of redemption. Indeed, this is why Pharaoh decreed that the Jews no longer rest on Shabbos, saying (5:9), “Increase their workload, and let them not dwell upon messages of falsehood!” Strangely, notes R’ Yaakov Kamenetsky zt”l, it seems we have no record of these scrolls or what they contained. Perhaps, says R’ Yaakov, these chapters of Psalms were the “scrolls” to which the Midrash refers. There is no doubt that living in Egypt under the cruel subjugation of the Egyptian taskmasters, it surely crossed the minds of some Jews to question why they must suffer while the Egyptians continually flourish. When Shabbos came, and the people had a day off, Moshe Rabbeinu read to them the “Song of the Sabbath Day,” a song which tells of the ultimate triumph of truth over falsehood and justice over deceit. 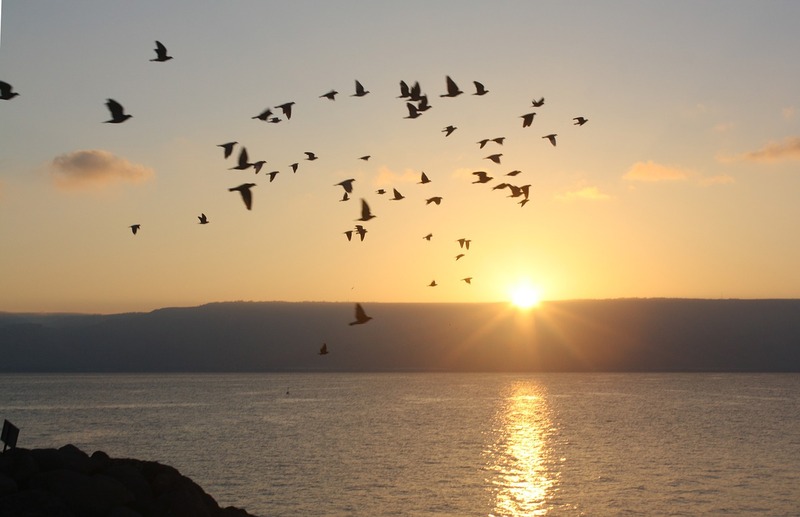 It was this outlook – faith in Hashem’s justness even in the face of what appears to be extreme injustice – that sustained them and uplifted their hearts. Chazal, our Sages, say that in the merit of their faith the Jews were redeemed from Egypt. Perhaps the Midrash refers not only to the faith of the Jews in its most simple form, that Hashem created the world etc., but also to their ongoing faith that as bleak and hopeless as their years in Egypt were, they never lost faith that all this was somehow leading towards their ultimate redemption. If these 11 chapters of Tehilim were composed by our shepherd Moshe in order to strengthen the faith of his flock while suffering slavery in Egypt, one would expect they might begin with words that appropriately introduce their theme. Chapter 90 begins, “A prayer to Moshe, man of G-d – Hashem, You have been an abode for us in all generations…” Moshe introduces his contribution to the Book of Psalms with the words, “A prayer to Moshe.” Why does he insist on including his name? One might have thought that Moshe, who was, “humbler than all men of the face of the Earth,” would likely have authored his chapters anonymously. Perhaps the words “A prayer to Moshe” are not Moshe’s claim to authorship, but rather his way of introducing the theme of the coming chapters – that all is not as it first appears, and that one should not be distressed by the apparent success of the wicked and the suffering of the righteous. A prayer to Moshe – look at me! Moshe says. My life is a microcosm of the very same theme. I was born at a time when all Jewish males were to be put to death, yet instead of this decree leading to my downfall, it ultimately lead to my upbringing in Pharaoh’s palace, and my ability to lead our nation out of slavery. One needs no greater proof than my life to see that Hashem has been an abode for us in all generations – even when we couldn’t see Him, and we thought, G-d forbid, He wasn’t there. This week’s publication is sponsored in memory of R’ Moshe Yehudah ben R’ Shlomo Zalman, who passed away 25 Teves, 5739. And in memory of Pinia bas R’ Eliezer. By their son, R’ Shlomo Eliezer Isaac. May their souls be bound up in the bonds of eternal life.